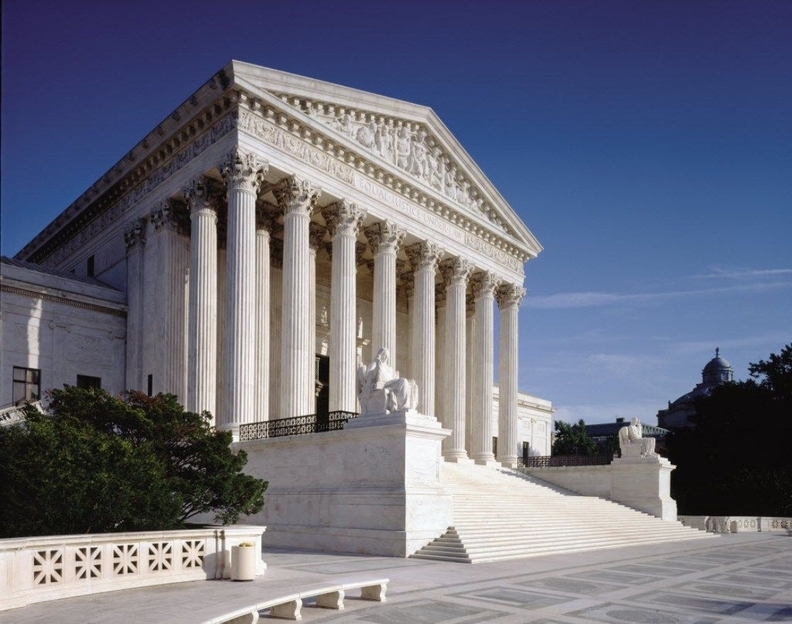 The U.S. Supreme Court on Wednesday questioned the validity of arbitration agreements used by nursing homes in a case involving Kindred Healthcare. The justices recently ruled in favor of arbitration agreements in two separate cases but they appeared to take a more critical approach to the practice when questioning Andrew Pincus, a lawyer representing Kindred Healthcare. "The context here seems different from the arbitration cases that we've had in recent years," said Supreme Court Justice Samuel Alito. "This doesn't involve an arbitration about the amount that you were charged for your cable bill or for your telephone bill. This involves a situation where an elderly person needs care." The cases the Supreme Court ruled in favor of arbitration agreements involved technology companies like Direct TV, not people. This appeared to be an important distinction for the court, said Imre Szalai, a professor at Loyola University New Orleans with an interest in arbitration agreements. “(The justices) were more aggressively searching for a reason to favor the little guy,” Szalai said. Nursing home arbitration agreements increasingly have drawn scrutiny as a number of lawsuits challenging the practice make their way through the courts, and judges more often are striking down the practice. The pushback appears to have swayed the opinion of the Supreme Court, Szalai said. At one point, Justice Alito said it was the right of the state to protect the health of its citizens. In the case at hand, Kindred is fighting the daughters of two former residents of one of their nursing facilities. Although the daughters—Janis Clark and Beverly Wellner—signed admission paperwork for their parents, Kentucky's Supreme Court said the arbitration agreements in those contracts violated the residents' “God-given” right to litigate any disputes. The daughters sued Kindred for negligence and wrongful death after their parents died at a facility in Winchester, Kentucky. The state's Supreme Court ruled that the contracts the daughters signed granting them power of attorney didn't specifically mention an arbitration agreement. In court, Pincus argued that the Kentucky Supreme Court was discriminatory toward arbitration agreements in its ruling. He said the Federal Arbitration Act prevents states from claiming that arbitration agreements impose undue burdens compared with other contracts. But Chief Justice John Roberts said that the Kentucky ruling didn't mention arbitration agreements by name, therefore the ruling can't be seen as discriminatory toward the practice. Supreme Court Justice Stephen Breyer, however, questioned whether the Kentucky ruling was discriminatory. Breyer repeatedly asked lawyer Robert Salyer, who represented the daughters, to differentiate between an arbitration agreement, which keeps a case out of court, and a settlement agreement before trial. Breyer said the Kentucky ruling was criticizing arbitration but not settlement agreements before trials although both are the same in that the matter is resolved outside of court. In response, Salyer said in a suit a power of attorney can decide whether or not to accept a settlement outside court. An arbitration agreement prevents the power of attorney from handling the matter in court. Citing legal challenges to arbitration agreements, the CMS in January delayed enforcement of a rule that bars nursing homes from entering the binding contracts before a dispute arises. In September, a judge in the U.S. District Court for the Northern District of Mississippi granted a request for an injunction by the American Health Care Association, an industry group for post-acute care providers, and four other state and local healthcare groups. The nursing home industry has widely opposed the CMS rule. They argue arbitration offers a less costly alternative to court. It is unknown how the Trump administration will view the rule but the president campaigned and almost immediately signed an executive order to lower regulatory burdens on businesses.